Ahhhh the pasty skin days have arrived! As such, this is the time of year I like to crack out a bit of fake tan to make myself look a little bit more alive and healthy, as my skin tans pretty well on it's own in the summer time so I don't bother with it much, unless I'm going on a wild night out (gone are the days). 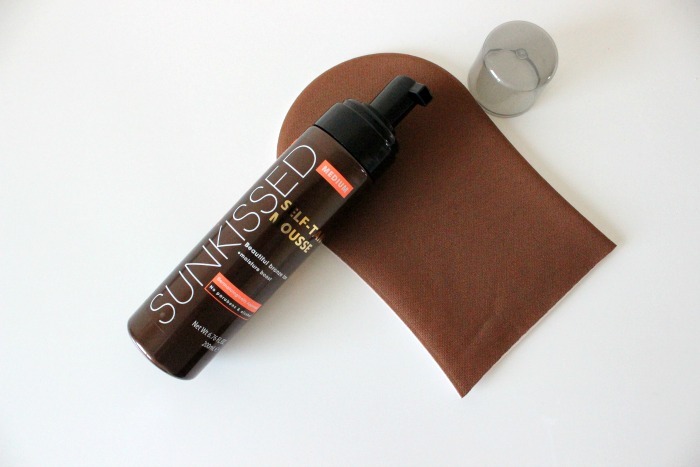 The brand Sunkissed were kind enough to send me one of their self-tan products and a mitt to try, so I gave it a go and I'm pretty pleased with the results. 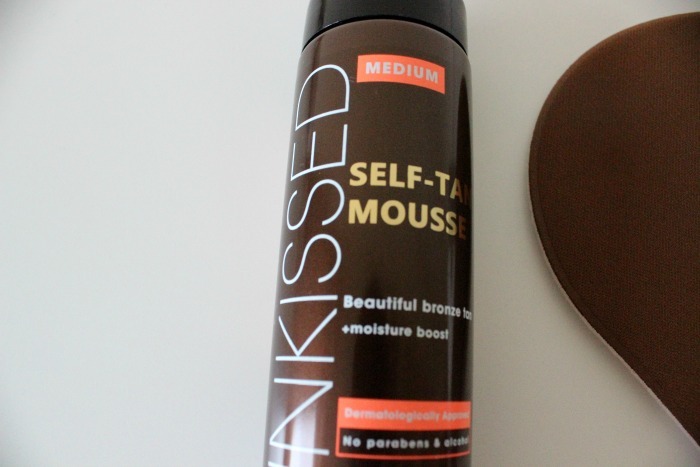 Sunkissed Medium Bronze Instant Self-Tanning Mousse* reminds me very much of the oh so raved about budget tan 'St Moriz', but with a better initial scent. It's a paraben & alcohol free formula which has added moisturising properties and smells like coconut when first applied. The tan itself is a mousse which I like as it means limited mess, and it's instant which I also really like, as I always mess up the tans that develop over time as they are clear in colour and I can't see where I've applied until the next day - where I wake up a patchy piece of ridiculousness. I used 2-3 pumps for my arms and legs and 1 or 2 pumps for my chest and stomach and had to call in the help of the hubby to do my back and shoulders. I must say I was really impressed with this tan. I instantly felt a lot better in myself (never underestimate the power of the healthy glow). After I showered the next day it didn't leave any nasty patches but just left a nice golden colour on the skin. One thing I will say is that although it did initially smell quite pleasant, it didn't last and eventually turned into that usual husband-repelling fake tan stench! It's not a deal breaker for me though, as it's just the price you pay for looking fabulous (can I get a bit fat LOL)? It just means I have to change the bed sheets and put on clean pyjamas the next night to get rid of the smell. All in all, I am really pleased with this tan and would definitely re-purchase as it's an absolute bargain at £3.99. Have you tried anything from Sunkissed?